Suggest that your little one wear a white sweater with blue jeans for a fun day in the park. Navy sneakers are a great choice to finish off this ensemble. 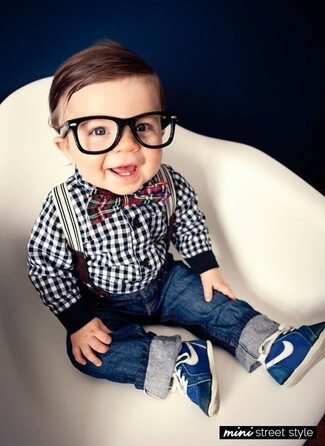 Dress your munchkin in a red long sleeve shirt and red jeans for a dapper casual get-up. 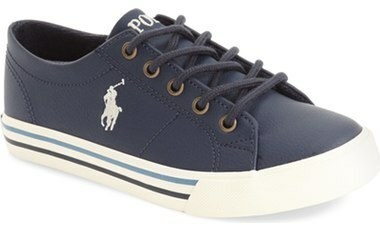 Round off this style with Ralph Lauren kids scholar sneaker. 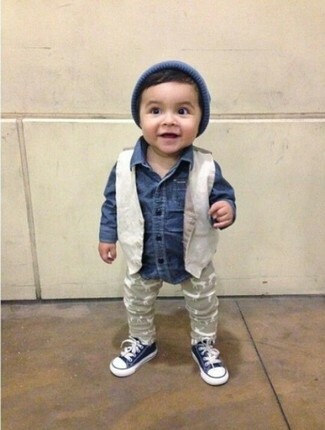 Reach for a beige waistcoat and beige sweatpants for your son for a dapper casual get-up. Ralph Lauren kids scholar sneaker are a great choice to finish off this ensemble. Suggest that your kid team a white and black gingham long sleeve shirt with navy jeans to create a smart casual look. This ensemble is complemented wonderfully with Ralph Lauren kids scholar sneaker. 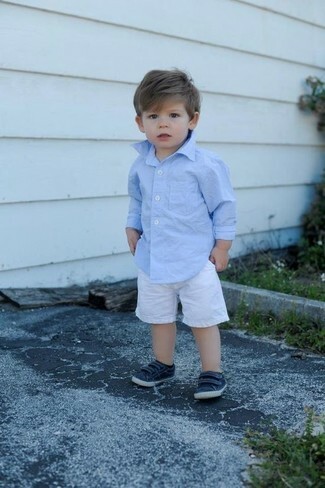 Dressing in a navy long sleeve shirt and white shorts is a smart fashion choice for your child. 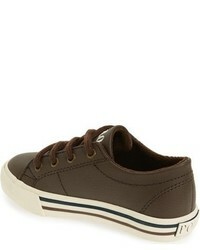 As far as footwear is concerned, suggest that your boy go for a pair of Ralph Lauren kids scholar sneaker. 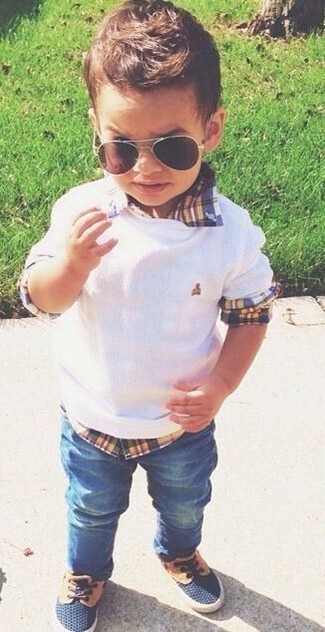 Consider dressing your little guy in a light blue long sleeve shirt with white shorts for an easy to wear, everyday look. As for footwear your tot will love navy sneakers for this getup. 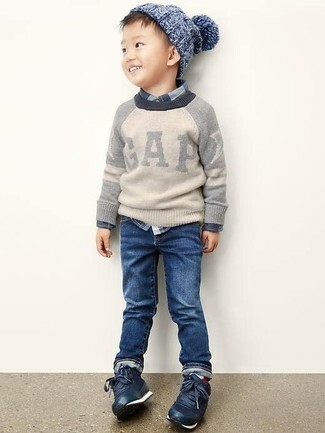 Suggest that your kid pair a grey sweater with navy jeans for a laid-back yet fashion-forward outfit. Ralph Lauren kids scholar sneaker are a savvy choice to complement this look. 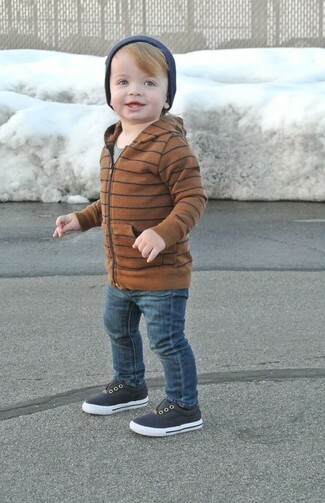 Suggest that your tot go for a brown hoodie and navy jeans for a laid-back yet fashion-forward outfit. Ralph Lauren kids scholar sneaker are a savvy choice to complement this getup. 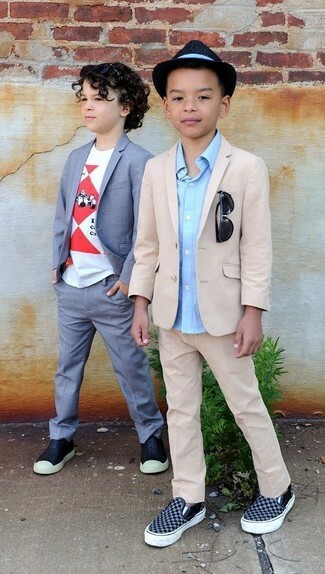 Suggest that your son pair a beige blazer with beige trousers for a sharp, fashionable look. This outfit is complemented nicely with Ralph Lauren kids scholar sneaker from Nordstrom.